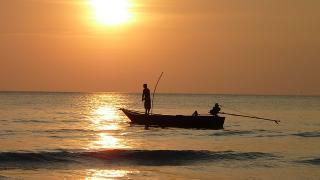 Costa Rica is the dream destination for any sports fishing enthusiast. There are several reasons for this including the undisputed fact that it is the perfect place for billfish. In Costa Rica, you have some choices when it comes to sports fishing, but Los Suenos remains a top choice for anglers. If you are getting ready for a fishing adventure in this beach resort, you need a perfect plan to get the best out of your endeavor. Here, we will consider six essential tips for a perfect Los Suenos sports fishing. Though fishing can be considered a year-round event in Los Suenos, you still need to do a little bit of homework to catch what you want. Between December and April, it’s all about the sailfish, marlin, and some dinner fare. June to August is time for the tuna, and September – October can be slow. Do your homework before setting out. Before going off to the water, it is essential that you make a checklist of all you need for the trip. Such things as rod and reel, knives, multi-tools, boots, hat, first-aid kit, water bottle, hand sanitizer, fingerless gloves, and others should be packed. To make your fishing experience more worthwhile, you have to decide early whether you are going for size or quantity. Your targeted species will ultimately determine your fishing style and the tools and equipment you will need in the adventure. Enquire what species are available in the water you are going to fish. Your fishing equipment will need to be in top shape if you hope to have a smooth fishing experience. It is essential that you check them out before taking to water. Check the tackle before the trip. Ensure that your reel is in top condition. Check other equipment too. If you haven’t been on a fishing trip before, you can be forgiven for not knowing how important it is to know your knots. You will have to tie hooks or lures on your line and also tie leader to your main line. Basic knots include uni-knot, Palomar, clinch knot, blood knot, and Pena knot. You can ask someone to teach you or learn from YouTube videos. Being safe on a fishing expedition starts with having all the safety gear necessary for the trip. You also need to have a first-aid kit in your fishing vessel. Also, ensure that your radio is working and do not take excessive risks. A Los Suenos sports fishing expedition will be fun if you do it the right way. By considering the tips given here, you can be sure that your adventure will be an amazing one. Will you like to spend quality time relaxing and catching fishes with your loved one? Head to In Los Sueños Resort & Marina today. You can always look forward to a fascinating experience.